With so many options available for flea and tick prevention, it can be confusing to determine which, if any are safe for our pets and our families. Most flea and tick preventatives contain toxic ingredients. 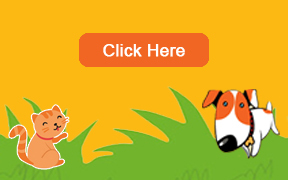 To learn more about safe alternatives, see Natural Solutions towards the bottom of this page. “As a veterinarian, I’ve been taught that the majority of these products are harmless and safe, but evidence now shows that both the ‘active’ and some ‘inactive’ ingredients in the spot- on preparations have been linked to serious health effects both in laboratory animals and in pets. The Washington-based Center for Public Integrity (CPI), a nonprofit investigative news organization, and the National Resources Defense Council, an environmental advocacy group, have both published reports about the safety of prescription and over-the-counter flea and tick treatments. Most people think that the pyrethrins (naturally occurring compounds from the chrysanthemum plant) and pyrethroids (the synthetic counterpart) are less hazardous than other tick and flea preventive ingredients. Data from pyrethroid-based insecticides was recently made public through the Freedom of Information Act and analyzed by CPI. According to CPI, from 2002 through 2007, at least 1,600 pet deaths related to spot-on treatments with the above mentioned ingredients were reported to the EPA. That was nearly double the reported fatalities linked to flea treatments without pyrethroids. The pyrethroid spot-ons also accounted for more than half of the “major” pesticide pet reactions including brain damage, heart attacks and seizures. Non-pyrethroid spot-on treatments accounted for about 6 % of all major incidents. Bio Spot Flea and Tick Control, Defend EXspot Treatment and Zodiac FleaTrol Spot On all contain either or both of the active ingredients Permethrin and/or Pyriproxyfen. Permethrin has been implicated as a carcinogenic insecticide causing lung cancer and liver tumors in laboratory animals. There is also a suspicion that it disrupts endocrine function. It can act as a neurotoxin, causing tremors as well as increased aggressive behavior and learning problems. Vectra #D, the new guy on the block, contains 36.08% Permethrins. As a result of all this newly revealed information in the CPI’s report, the EPA in April 2009 announced it was taking a closer look at all spot-on flea and tick products. The EPA is also taking action to address uncertainties about the so-called ‘inert’ ingredients present in these products. 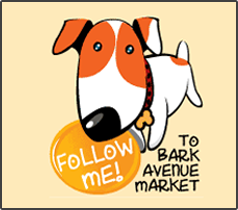 At Bark Avenue, we only recommend and carry non-toxic alternatives to pesticides. Below are a couple of our favorites that you will find. Wondercide, as seen on Shark Tank, is a line of flea & tick solutions made with non-toxic, food-grade ingredients that have been used to effectively fight pests for centuries. Wondercide is safe and effective for pets of all ages and sizes including dogs, cats, kittens, puppies, and even horses! Safe around children and pets, Wondercide’s line of organic pest control solutions are safe, easy-to-use and effective against 100s of pests, like fleas, ticks, ants, chiggers, mites, moths, japanese beetles, carpet beetles, box elder bugs, stink bugs, silverfish and more. Buck Mountain Parasite Dust. This non-toxic powder effectively disables, then kills or repels flies, fleas, ticks, lice, mites, spiders, ants, moths, centipedes, beetles and more.